Mall Galleries’ warm welcome and inspiring surroundings guarantee exceptional events and memorable guest experiences. 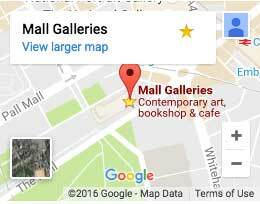 Mall Galleries is located on the ceremonial route of The Mall, between Buckingham Palace and Trafalgar Square. Behind the elegant Grade I listed terrace exterior, are three unique, versatile and state-of-the-art galleries, that host frequently changing, acclaimed exhibitions and a number of the UK’s leading art competitions throughout the year. Flexible and competitively priced packages are based upon event types and timings. Seasonal promotions and charity discounts are available. For rates and further information please complete an enquiry form. Find out why the venue experts at #tagvenue say Mall Galleries is one of the best gallery spaces in London for private and corporate entertaining.